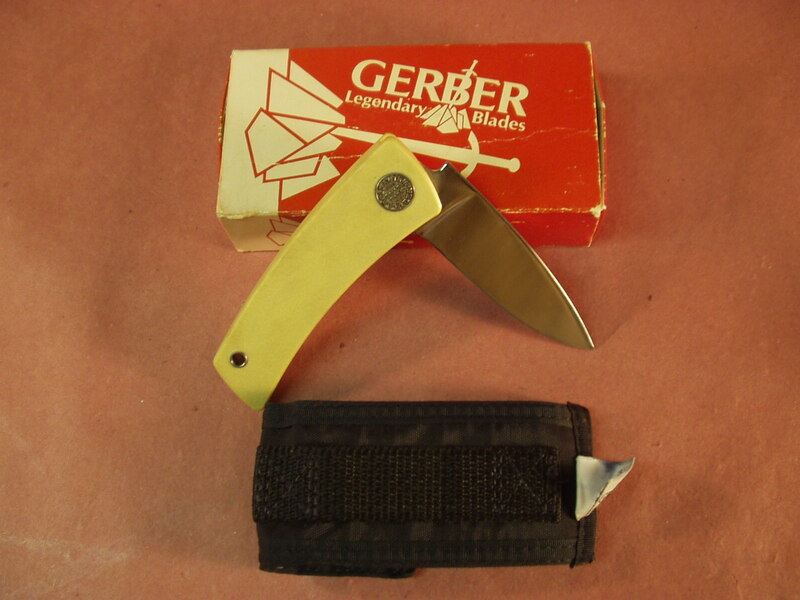 Pictured is a Very Rare Bolt Action Utility Blade Knife with an Ivory handle / scales. 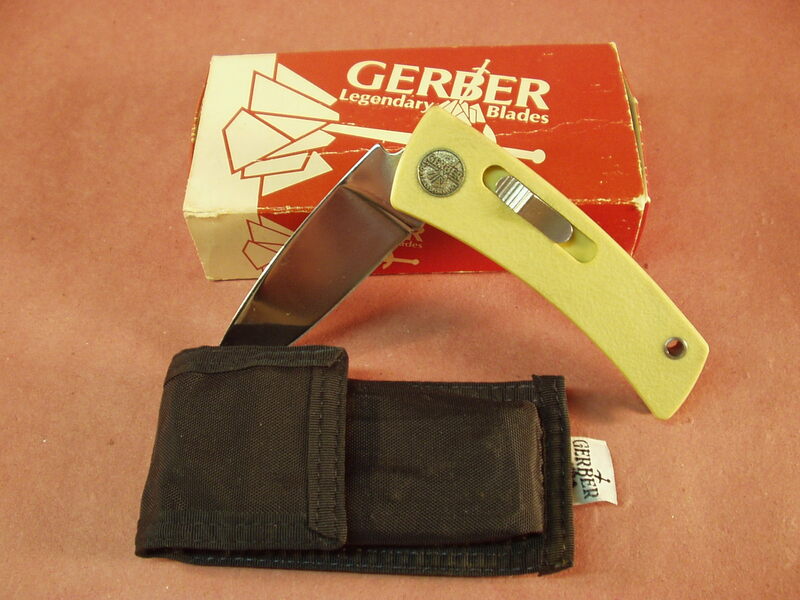 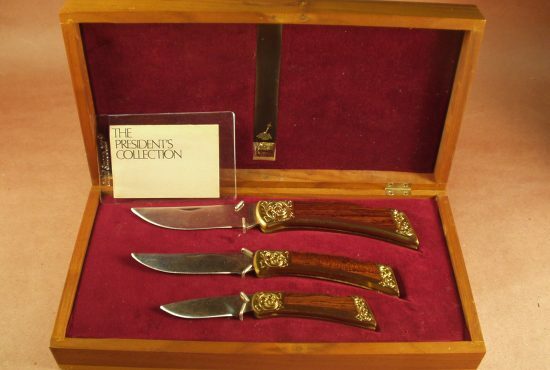 These bolt action knives with the Ivory colored scales were made by Gerber for a very limited time – 1981 – 1984. 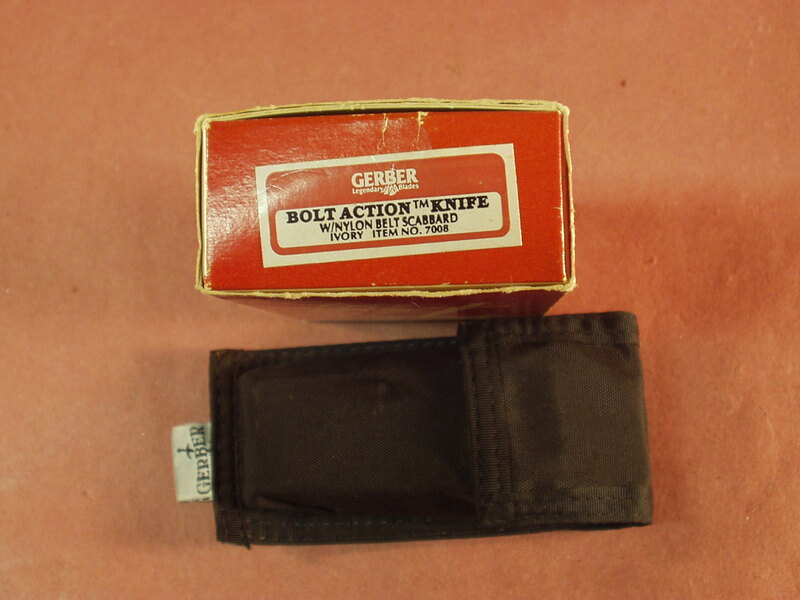 The knife comes close to NIB – with early Gerber sheath, and box. 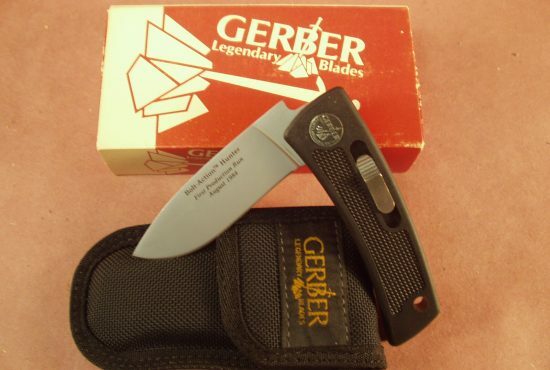 The knife has never been sharpened or used and features the highly polished blade rather than the satin one; Gerber made the Bolt Action Folders in both blade styles The is by far one of the hardest Bolt Action Knives to find especially in unused, never sharpened condition with proper sheath and box. 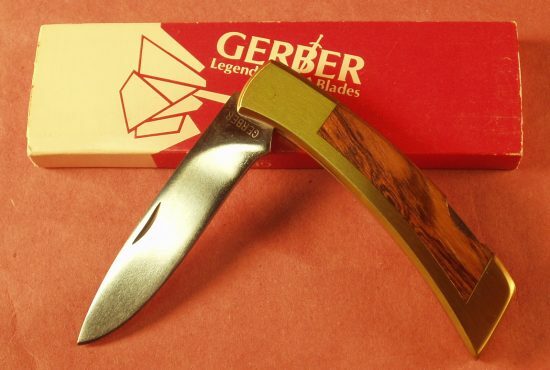 A real nice knife that will continue to appreciate in value. 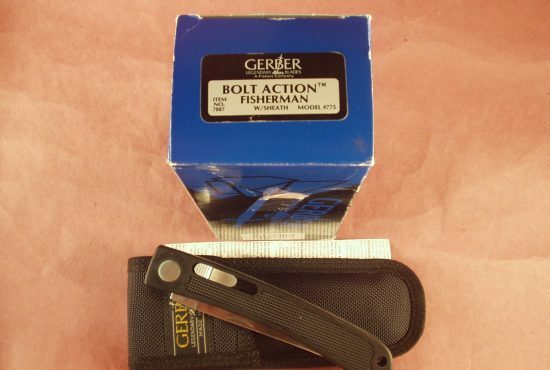 We rate it close to NIB as the box shows light shelf wear and the promo insert is missing.